Can we handball? Yes we can! 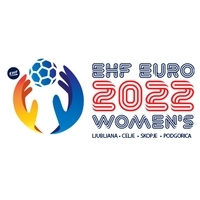 Despite the host trio of Slovenia, FYR Macedonia and Montenegro being the sole bidder for the Women’s EHF EURO 2022 with their triple-hosting, they have cut no corners in their impressive bid ahead of the vote in Glasgow at the EHF Congress 2018, scheduled to take place on the morning of Wednesday, 20 June. Describing the bidding cities as “modern cities in the heart of the Balkans with a Balkan flavour,” their Women’s EHF EURO 2022 bid features four destinations, including all three capital cities hosting games. Slovenia’s second venue is the home of VELUX EHF Champions League team RK Celje Pivovarna Lasko, the 5,800-capacity Arena Zlatorog in Celje. The final venue is the famous Moraca Hall in Podgorica (MNE). Home of the all-conquering Women’s EHF Champions League side Buducnost for many year, it was renovated in 2005 and has a capacity of 5,000. Slovenia, FYR Macedonia and Montenegro have decided on promoting the bid, and subsequent tournament under the global message heading of ‘We Can Handball’. Under this heading comes an impressive array of proposed initiatives including: ‘We Teach Handball’, which aims to use handball to promote inclusion of sport in young people’s everyday lives, ‘We Care Handball’, a global community outreach initiative addressing important social issues, ‘We Work Handball’, workshops around the championship led by lecturers and representatives of the EHF Women’s Handball Board (WHB), ‘We Support Handball’, a focus on sponsors and partner companies, which provide valuable assistance in promoting the game. Finally, ‘We Travel Handball’, will be a social media push from the three host national teams to highlight interesting insights into the journeys the players make to their games, with the aim of inspiring smaller clubs, fans and players to join in and share their handball stories to promote the game and the championship.